One of the most common questions we’re asked during an orthodontic consult is “Why do I see so many eight-year-olds with braces these days?” An excellent article published by the Wall Street Journal discusses the pros and cons of early treatment. In summary, early or “two-phase” treatment is orthodontic treatment before all the permanent teeth have erupted. We use this approach when waiting to treat the problem would cause a more difficult treatment plan or a less desirable outcome. The American Association of Orthodontists recommends that all children see an orthodontist by the age of seven. Only a small percentage of children will actually require treatment this early. Lysle Johnston, one of the most prominent orthodontic educators of our day, has argued that a lot of early treatment is a “practice management decision” rather than a biologic imperative. It was his way of kindly stating much of it is done unnecessarily. If the answer to any of the above questions is “yes,” early treatment may be indicated. Orthodontic problems that are typically treated with early phase treatment include cross bites or narrow palates, open bites and underbite. Once all of the permanent teeth have fully erupted, there will generally be an additional phase of treatment to ensure the best outcome. Drs. Battistoni, Beam, and Polivka offer a complimentary new patient exam to assess your child’s orthodontic needs. If treatment is indicated, we’ll discuss why and what specifically is needed. If orthodontic problems are evident but no early treatment is indicated, we will continue to periodically monitor your child’s teeth and jaw development at no fee until the time is appropriate for treatment. This allows us to begin treatment at precisely the right time to guarantee the best results. 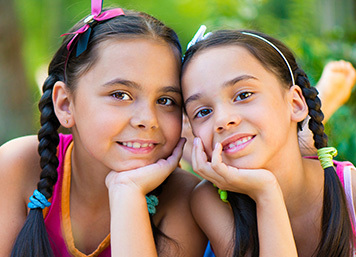 If you have a child seven years or older that has not been evaluated by an orthodontist, feel free to contact our office. We look to working together with you and your family, creating smiles that last a lifetime. Drs. Battistoni, Beam, and Polivka provide the highest quality orthodontic treatment. We strive to provide cutting-edge, caring, and affordable orthodontics in La Grange, Countryside, Oak Park, Elmwood Park, River Forest, and the surrounding area.